This is the first book to examine how Australian fiction writers draw on family histories to reckon with the nation’s colonial past. Located at the intersection of literature, history, and sociology, it explores the relationships between family storytelling, memory, and postcolonial identity. 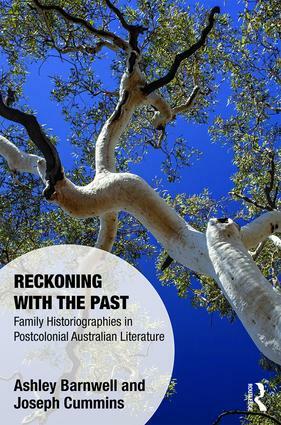 With attention to the political potential of family histories, Reckoning with the Past argues that authors’ often autobiographical works enable us to uncover, confront, and revise national mythologies. An important contribution to the emerging global conversation about multidirectional memory and the need to attend to the effects of colonisation, this book will appeal to an interdisciplinary field of scholarly readers. Ashley Barnwell is Ashworth Lecturer in Sociology at the University of Melbourne, Australia. Joseph Cummins has a PhD in Literary Studies from the University of New South Wales, Australia, and serves on the board of the Association for the Study of Australian Literature.